The U.S. Army collaborated with Concurrent Technologies Corp. to develop a coating system that can reduce the heat signatures of ground vehicles to avoid detection by adversaries. CTC helped produce the Ground Vehicle Coating System, intended to reduce infared signatures emitted from ground vehicles and protect against chemical agents that can harm warfighters, the Army said Wednesday. Thomas Wagner, an engineer for the Combat Capabilities Development Command’s Ground Vehicle Systems Center, said that GVCS will serve as a basis for future alternative ways of mitigating threats to Army platforms. 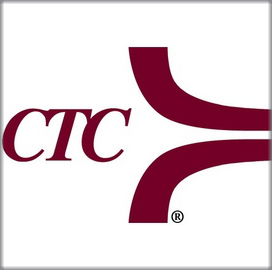 He noted that CTC has a long history of optimizing the designs of engineered products to reduce their price per unit. "Working with industry allowed for quicker implementation of manufacturing techniques, which enabled the product to be produced on a larger scale,” he added. GVCS was developed through the Army Research Laboratory, the CCDC Ground Vehicle Systems Center and the service branch's Manufacturing Techology unit.